On a warm summer’s day many thousands of years ago, the Mules were crossing a wide open valley where they had stopped to graze and rest a bit. 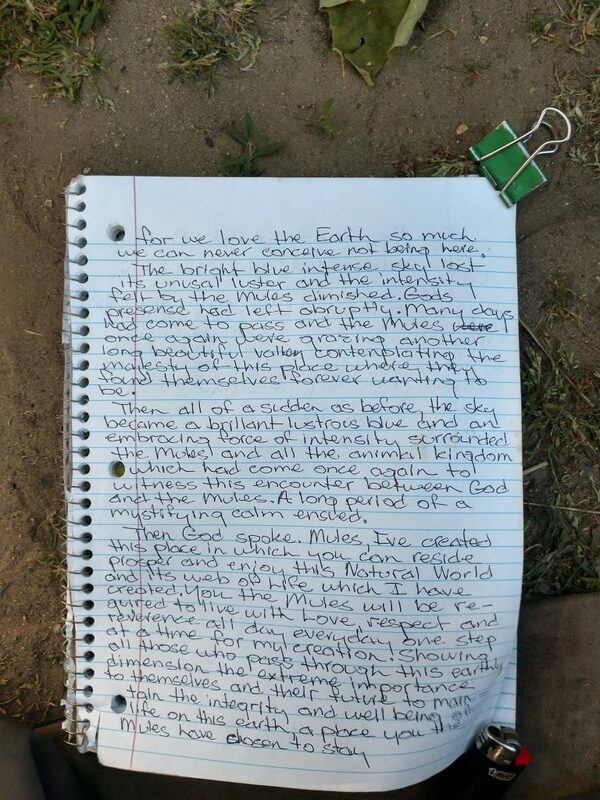 Then all of a sudden the sky became a brilliant blue like the mules had never seen before. All the plants grasses rocks and trees suddenly became multi-dimensional and intense. The Mules stood in awe at what they were experiencing. 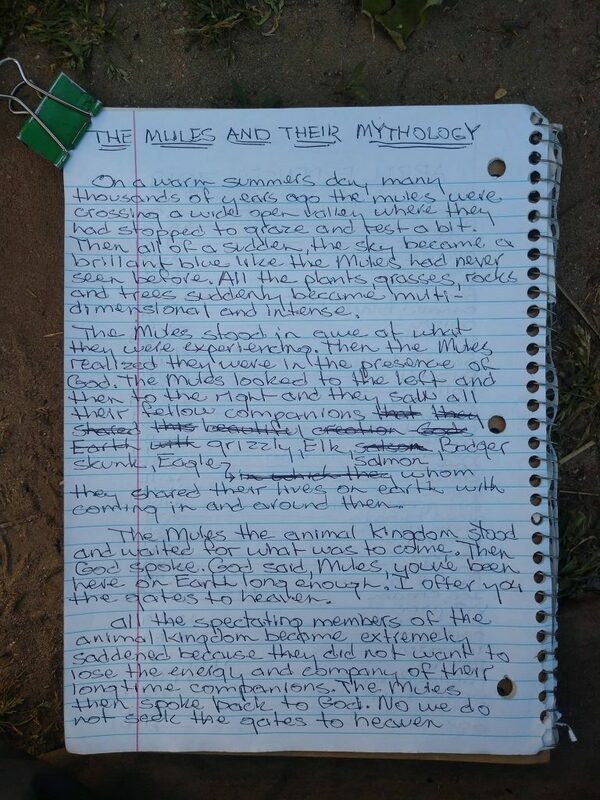 Then the Mules realized they were in the presence of God. The Mules looked to the left and then to the right and they saw all their fellow companions Grizzly, Elk, Badger, Skunk, Eagle, Salmon, whom they shared their lives on Earth with coming in and around them. The bright blue intense sky lost its unusual luster and the intensity felt by the Mules diminished. God’s presence had left abruptly. Many days had come to pass and the Mules once again were grazing another long beautiful valley contemplating the Majesty of this place where they found themselves forever wanting to be. Then all of a sudden as before the sky became a brilliant lustrous blue and an embracing force of intensity surrounded the Mules and all the animal kingdom which had come once again to witness this encounter between God and the Mules a long period of a mystifying calm ensued. 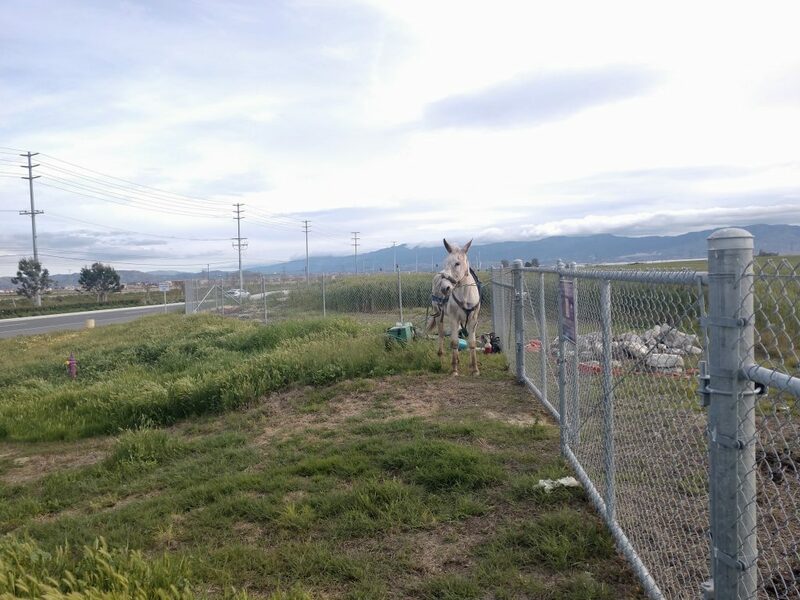 Last night, the Mules spent the night in Norco in Riverside County, California, also know as HorseTown U.S.A. We found a vacant field where we spent the night. Upon awakening in the morning, I took Little Girl across the street and got her some water and then grazed her along the horse path for about an hour. I returned to the place we spent the night and fixed breakfast. After enjoying breakfast and watching Little Girl take a nap, we packed up and proceeded on our way north though Norco. We met a number of followers of our Facebook and website pages and enjoyed the conversations. After a mile or so, we saw Norco’s sign HorseTown USA. 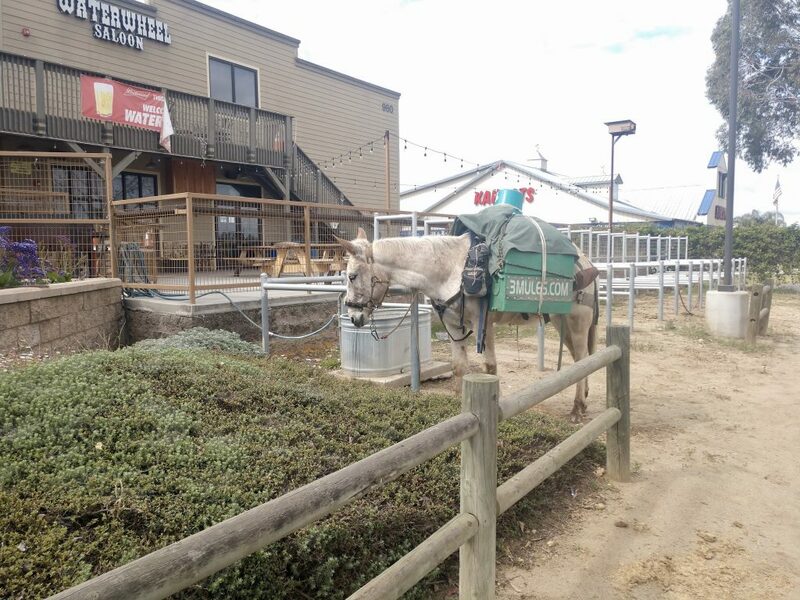 According to city ordinances, the architecture of Norco “shall reflect a desired Western theme,” including qualities “described as rural, informal, traditional, rustic, low-profile and equestrian oriented. 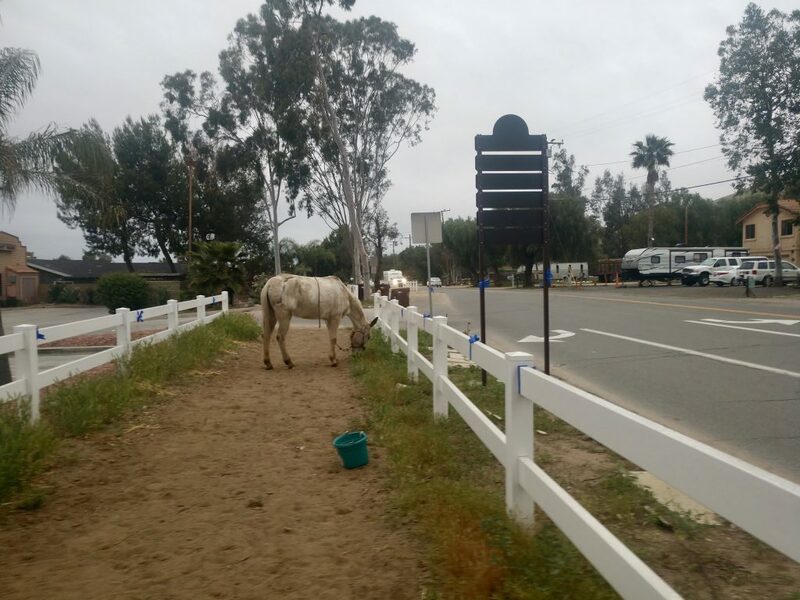 As a horse community, there are few sidewalks in the city of Norco, instead there are horse trails and riders can ride to town and tie their horses at the many hitching rails and corrals placed close to businesses. We thank the town of Norco for the pleasant experience as short as it was. 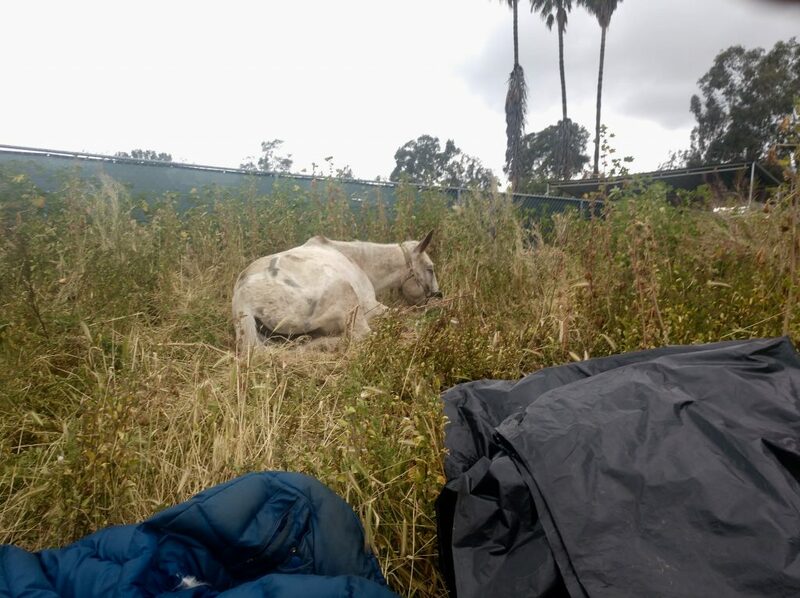 It was nice not to be bothered by police officers telling us they were getting calls about a starving horse, a loose horse, a horse dying from lack of water, or a drunken homeless man leading a horse down the road, etc. etc. or expressing general concern as to the sight of the Mules. This did not happen. 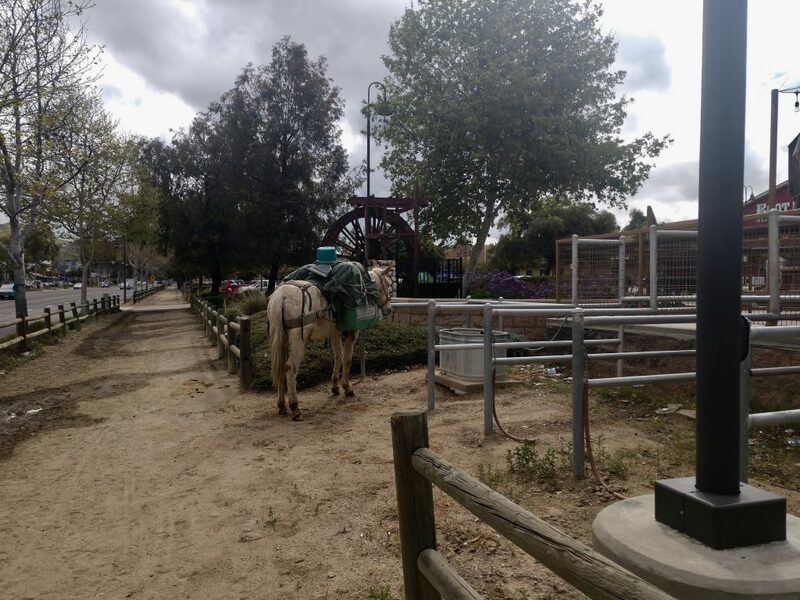 It was a pleasant experience in Norco, HorseTown USA. Now we are well out of Norco. It is now time to stop on the public thoroughfare for we have been walking most of the day as any equestrian traveler does and we will claim our right to stop here, fix our dinner, go to sleep on the public domain/thoroughfare as any citizen of the United States has a constitutional right to do so. Pictured is a sign that says, Emergency Stopping Only. That is an illegal post. 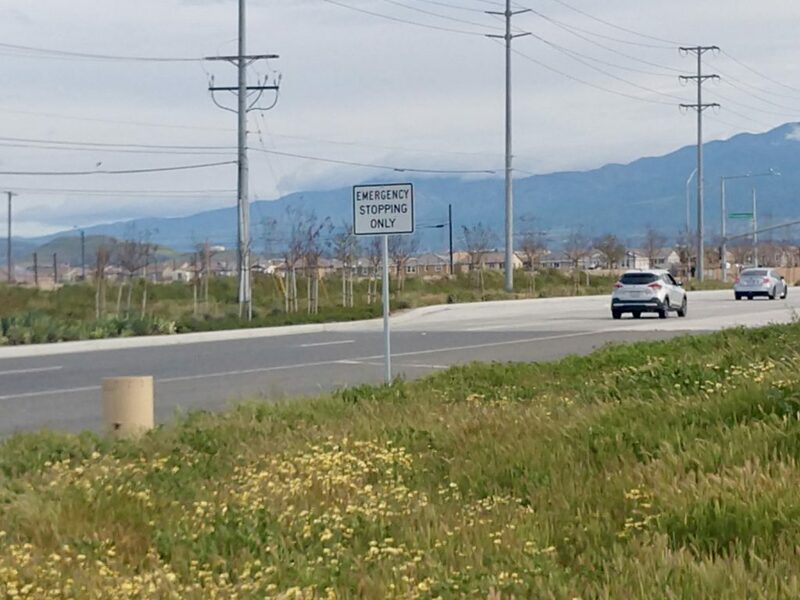 No city or county or state has the legal right to post any sign that will prevent any legal user of said thoroughfare to use it in a responsible way. This sign is absolutely attempting to do that. It’s entirely illegal under the constitution of the United States. The public thoroughfare within the United States belongs to the public. 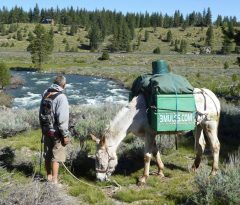 The Mules are a member of that public and we can without doubt unequivocally prove our safe and responsible use of it. We will not accept any form of exclusion from it. 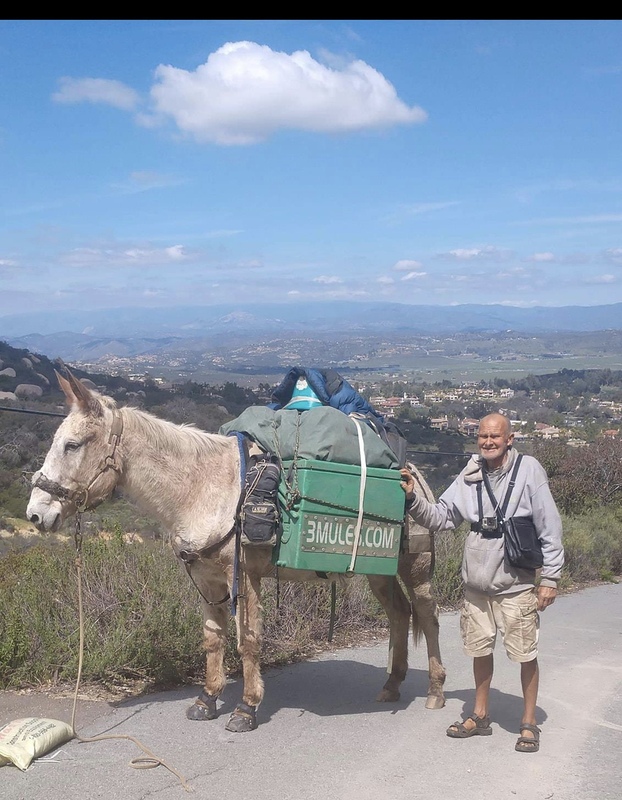 On Sunday, March 24, 2019, farrier Dustin Brown of Dusty Dreams Horse Shoeing came out to us in Poway to shoe Little Girl and did a fine job. 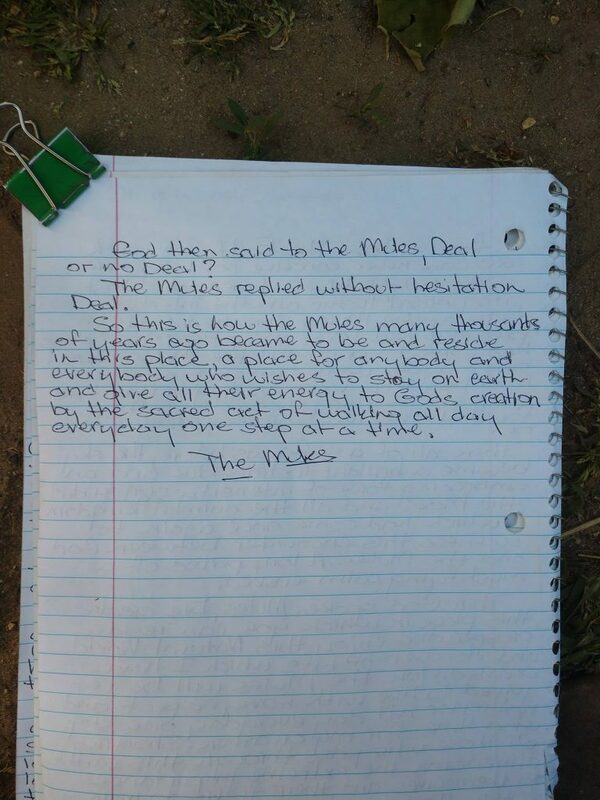 The Mules say thank you to Dustin and his family Steve, Carolyn, Jennifer for their kind and generous support to the Mules on this endless journey of one human being traveling with his/her equine companion in any one of all four directions, symbolizing the freedom and sacred ages old relationship between Humanity and Horse as can only be experienced on this unique place we all call home, the Earth. 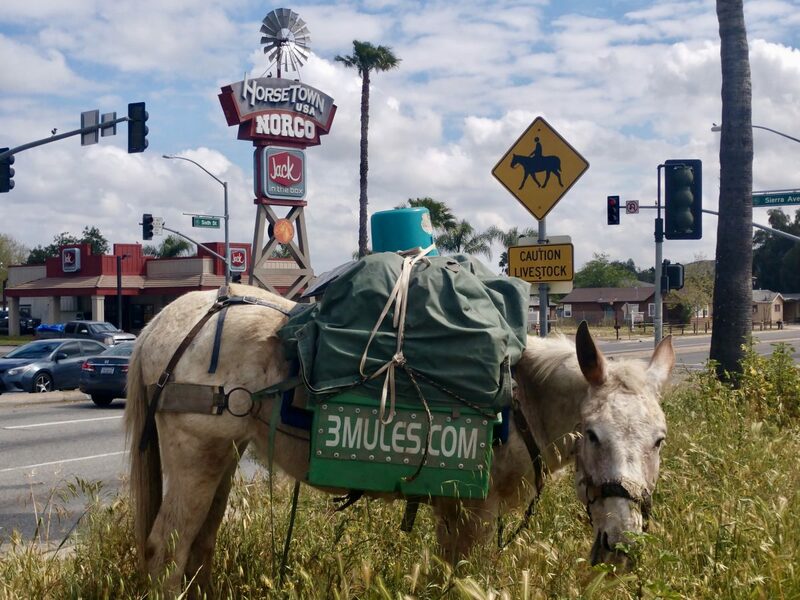 Photos of the 3 Mules and the people met as we passed through San Diego County (San Marcos, Carlsbad, Encinitas and San Diego) at the end of February/beginning of March.